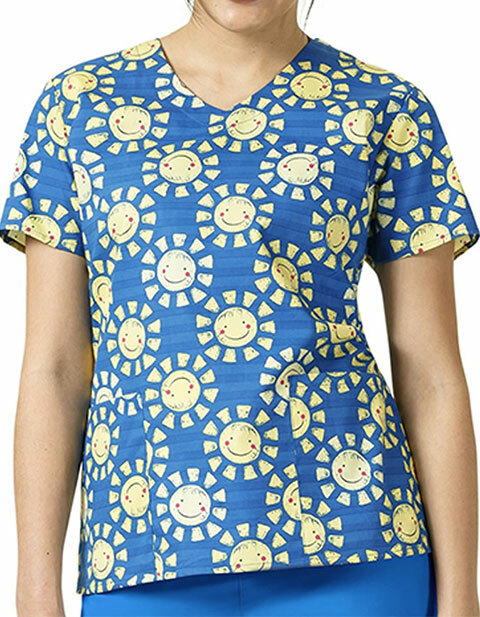 Look trendy and feel great in Zoe and Chloe Z12202 Sunshiny Day Womens V-Neck Seasonal Print Scrub Top. It features a banded v-neckline and short sleeves for comfort. Moreover the two front patch pockets and side vents at hem make it super functional.